Goals from Naby Keita (5) and Roberto Firmino (25) put Jurgen Klopp's men in a dominant position in the tie ahead of the second leg on April 17. 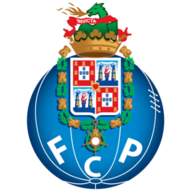 However, Porto striker Moussa Marega showed enough with his play to keep hopes alive of a Porto recovery, while Mohamed Salah escaped a red card for a dangerous-looking tackle on Danilo late on - a decision that survived a VAR review. Klopp will be happy his side - who strolled through the second half - seemingly did not have to expend too much energy ahead of their key Premier League clash with Chelsea on Super Sunday. In a break from the pressures of an emotional and nervy title race, Liverpool found their stride early in front of an expectant Anfield. Naby Keita made back-to-back starts for Liverpool while James Milner replaced Andy Robertson at left-back due to the Scot’s suspension. In total, Jurgen Klopp made three changes with Georginio Wijnaldum and Joel Matip dropping out. Dejan Lovren got a rare start, Jordan Henderson returned and Joe Gomez was among the substitutes for the first time since suffering a leg fracture in December. See the climax of the 2018/19 season, with the title, European places and survival all on the line. Plus, watch more live games that ever before in 2019/20. 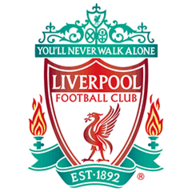 Jordan Henderson threaded the eye of a needle with a clever ball in behind for Trent Alexander-Arnold and the full-back sent one across goal which was tapped home by the Brazilian. Firmino has now been directly involved in 12 goals in his 11 Champions League games at Anfield for Liverpool. Porto threatened in behind Alexander-Arnold and he survived a VAR review on a handball after a bit of a mix up with Alisson. Mane thought he had scored the third just after half-time but VAR upheld the assistant referee's decision to flag him offside. From that moment Liverpool took their foot off the gas and survived a couple of late scares. Marega had already tested Alisson with a low drive before blazing a good opening from a tight angle into the side netting. And, Salah recklessly left a boot on the shin of Danilo but despite a VAR review, the officials decided there was no malicious intent. Should Mohamed Salah have seen red for this? The theory of 'when Firmino plays well, Liverpool play well' was relevant here as the Brazilian was at his imperious best when his team needed him. His clever movement and pass set up Keita for the opener while he was on hand to put the Reds in full control of the tie by knocking home the second. Since the start of last season, only Cristiano Ronaldo (24) has been directly involved in more goals in the Champions League than Firmino (13 goals, 8 assists). He's a master of his craft playing as the central striker. Liverpool extended their unbeaten home run across all European competitions to 21 games (W15 D6); the Reds have kept 12 clean sheets in this run, conceding just 15 goals. Porto have never won away at an English club in 20 attempts in all European competitions (D3 L17), the most a club has played away at English opposition without ever earning a win. This was Klopp's 400th win as a manager in all club competitions, 111 of which have been with Liverpool (180 with Borussia Dortmund, 109 with 1. FSV Mainz 05). Since his Champions League debut in September 2017, Liverpool's Alisson has kept more clean sheets (9) than any other goalkeeper in the competition; all nine have come in home matches (5 at the Olimpico with Roma, 4 at Anfield with Liverpool). "We deserved the win 100 per cent and we scored two wonderful goals. "Overall it was a really good performance.These two legs are like a normal game. The first half is played and now we have a bit longer than 15 minutes to prepare for the second half. "There is still a lot to do and we know that. The atmosphere in Porto will be really tough for us but this is a result we wanted before the game, now we have it and we have to work with it." Liverpool now host Chelsea in a big Super Sunday clash as they look to keep their hopes of a first league title since 1990 on track. The second leg of this tie takes place at Estádio do Dragão on Wednesday night, at 8pm.